Secret Paws brings cats holiday joy far and wide. The annual Secret Paws, fashioned after the human version of Secret Santa, is hosted by blogger extraordinaire Paula Gregg, of Sweet Purrfections. Her lovely Persians, Truffle and Brulee are needless to say, Sweet Purrfections. What’s in this package? Is it for us. We definitely want to thank her all her hard work in gathering all the information and assigning the Secret Paws. Coordinating any project, big or small, can be much like herding cats, and we all know that’s no easy task. On the Secret Paws website, Paula says the kitties of the Cat Blogosphere, from all ’round the world, join paws for the holidays through Secret Paws. How awesome to join paws with the kitties of cat bloggers who are trying to better the life of cats worldwide! And from what we understand there are 42 participants, not counting all the cats! Let’s play with these toys from our Secret Paw! Yellow guards the Secret Paws gift, taking a nap on it. The human at Paws for Reflection was and is thrilled to participate in Secret Paws for the first time, this year. It certainly won’t be the last, as it was sooo much fun, for the human and the cats, too. Our Secret Paws gift was sent to someone that we’d never met before, and that means a whole new connection in the cat blogosphere (The Phin, Feather and Furr Gang). We hope she and her furry friends have gotten their gifts (a feathery bird and catnip toy), and are having as much fun playing with our gifts as the Paws’ kitties are. We were in such a rush to make sure it got into the post on time that the Paws kitties didn’t have time to check the toys out for approval. But the human thinks they would have plunged into the box with all fours to play with the feathery bird and catnip stuffed toy. Their reaction to their Secret Paws gifts demonstrated just that! Our gifts arrived a few days ago, and Paws decided to let the kitties open their gifts a few days before Christmas. Needless to say the cats were just wild about their gift(s), especially the catnip stuffed toy. By the end of the afternoon, all four cats (we let Clyde go to the Rainbow Bridge earlier this month) were chomping, and rolling in catnip. Little Yellow and Lenny had a high level wrestling match (wish we’d caught that on camera), and the cats were in seventh heaven, no pun intended. Pink Collar checks out book on Black Cats. Linus is thrilled with Secret Paws gifts. Pink Collar sits underneath the box cover. What’s this, she asks? I want in on this Secret Paws stuff, Yellow says. 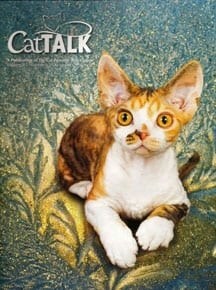 We had no idea that another blogger extraordinaire, Layla Morgan Wilde, of Cat Wisdom 101 was our Secret Paws. 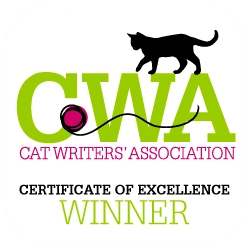 And we are so happy to re-connect with her, as we had met through the Cat Writers Association some years ago. As the kitties were so entranced with the catnip, we held off trying the 2 packages of Hartz Delectables Squeeze up with Chicken and Tuna. That’ll be the ideal treat for Christmas dinner. We’re also waiting for Lenny to come down from his catnip high before we try the spiffy green checkered handmade safety collar from coolcatcollars. The party hat will be ideal for New Year’s, and the kitties, just like kids, loved playing with the purple pipe cleaners that would keep the hat attached to their head. It was no time before Siamese Linus found it and was rolling and wrestling with this new-found toy. Layla didn’t forget the human either. She kindly enclosed a copy of her new book, ‘Black Cats Tell All’, and Paws can’t wait to delve it into this book, as we love black cats. We’ll also be sharing our insights from this book with our readers after the holidays. Thank you Layla for publishing such as insightful book to hep people see black cats in a whole new light. While we know Black Cats Rock, not everyone share our opinion. Hopefully Layla’s book will help change that. But back to Secret Paws. Let the pictures tell all! Secrete Paws brings holiday joy to cats! May the spirit of giving stay with us throughout this holiday season. The cats would say, getting, but they like to give back. They do that by all the joy we humans get from watching them play, snuggling in our laps, and purring in our ears. What’s you kitty giving you this holiday season? Have a great new year, too! Secret Paws is so much fun for the kitties and their humans, alike! Thanks! Secret Paws was so much fun. We can’t wait till next year to do it again! Thank you for your kind words and soft purrs. It was great to reconnect. Hope you have a fabulous holiday and a wonderful New Year. How interesting, we both had cats named Clyde, not the most common name. Sounds like your Clyde was a pretty special boy. What awesome Secret Paws gifts! 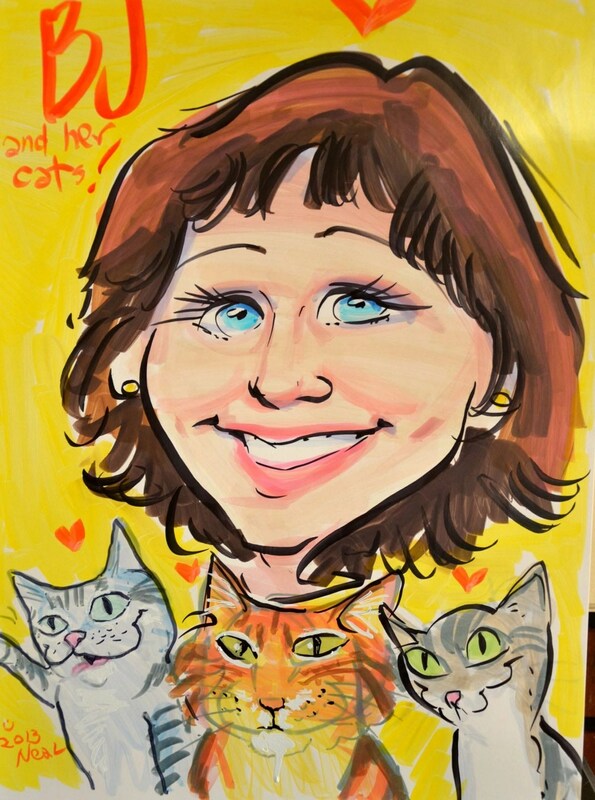 Secret Paws was so much fun – for the kitties and their human! Hope you received your gifts, and enjoy them as much as we did. Paws hit the deadline and sent out priority mail, and we hope our Secret Paws pal received their goodies. It’s so fun, and it’s even more fun to see the kitties spoiled more than rotten. Have a wonderful rest of the holiday season and Meowy New Year!